As the days grow shorter (and for many parts of the United States, colder), 4 to 6 percent of Americans suffer from a form of depression called winter-onset Seasonal Affective Disorder (SAD). An additional 10 to 20 percent experience mild SAD, and many more simply write off the “winter blues” as just part of life. Although it is more common among younger adults, SAD can also affect seniors. Seniors diagnosed with other forms of depression may have symptoms that become aggravated by winter weather. Since older adults are at the greatest risk for suicide, treatment for SAD and other forms of depression are critical. Family members and caregivers should track medications and therapy treatments with a sophisticated homecare system. 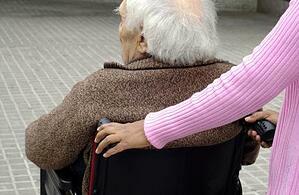 Personal caregivers and home health aides should know what symptoms to watch out for. Using a reliable homecare system and homecare software program like ClearCare will help caregivers monitor each patient’s health and mood. Opening the curtains or drapes to allow in as much light as possible. Going with the patient for a brief walk outdoors. Engaging the patient in fun activities such as puzzles or board games. Preparing well-balanced meals that will boost energy. Encouraging the patient to exercise regularly. The National Institute of Mental Health reports that only 10 percent of seniors suffering from depression actually receive therapy. If you know an older person who experiences depression – even occasionally – encourage them to seek treatment. As a recognized type of clinical depression, SAD requires attention and a professional diagnosis. Seniors that receive in-home assistance with the help of ClearCare’s homecare system and homecare software can rest assured they will get to each doctor appointment on time. ClearCare’s homecare system and homecare software not only provide timely reminders to caregivers, it also allows family members the opportunity to “see” what goes on at their loved one’s home. This kind of reassurance brings incredible peace of mind, especially when families are concerned for their older relatives’ mental well-being. With so much at stake, this is one area where families do not want to take any chances. To learn about other ways ClearCare’s homecare system and homecare software would benefit you and your family, call one of our knowledgeable representative s today.